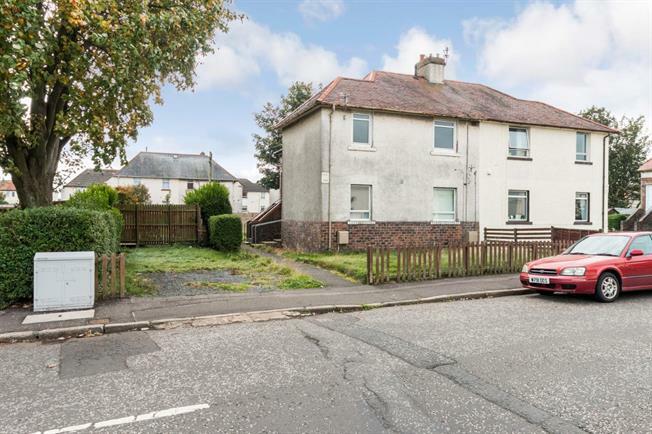 1 Bedroom Flat For Sale in Prestwick for Offers Over £54,000. EXTENDED 1 bed upper apartment situated on the outskirts of the highly sought after seaside town of Prestwick & well placed for access to a range of amenities including public transport links, Scotlands only rail connected airport at Prestwick, well regarded schooling AND Prestwick town centre! Spacious accommodation is set over two levels & extends to front facing lounge with laminate flooring, stylish kitchen offering a range of fitted units & integrated appliances, bathroom with suite comprising wash hand basin, WC & bath with shower over, double bedroom AND loft room with fixed staircase that could be put to a variety of uses! As well as a sought after location, this attractive property also benefits from private, enclosed gardens to the rear & side AND off street parking! EER C.